The first ever free to read online Beatles book has just been launched. Bob Neaverson, author of The Beatles Movies (Cassell, 1997) and co-author (with former Apple Film boss Denis O’Dell) of At the Apple’s Core, has just launched a Beatles Movie website, www.beatlesmovies.co.uk. 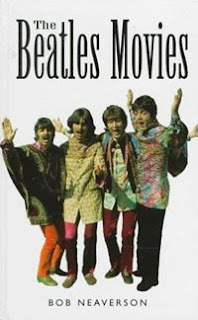 The site is dedicated to celebrating the importance of the group’s five forays into film, and includes a re-vamped version of his first book, the highly acclaimed The Beatles Movies, a critical history of the band’s films which includes interviews with such key movie personnel as former Apple boss Denis O’Dell, film director Richard Lester, and the group’s favourite actor, Victor Spinetti. Beatles Wallpapers : Beatle-fy your desktop!